Finn Grant and his family built this beautiful miniature coach as a billy cart. 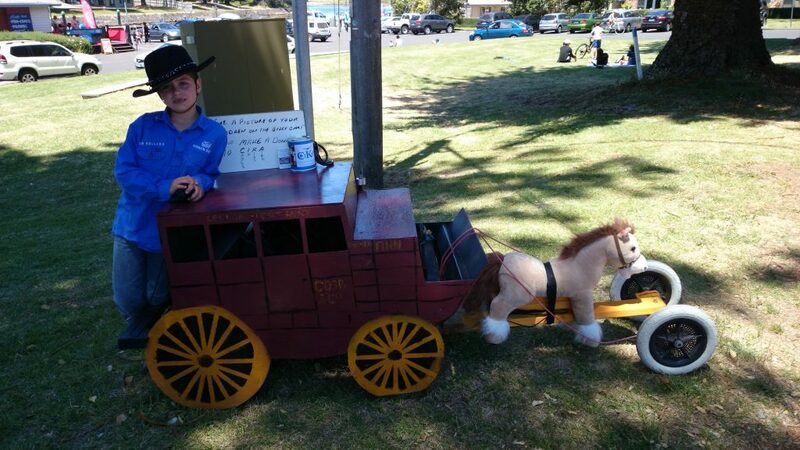 It is a replica of the coach that was driven from Port fairy to Melbourne to raise money for CIKA in August 2013. It was entered in the Port Fairy New Years Eve parade and won the prize for recycling. After the parade Finn raised $70 by allowing people to take photos of their children on it. A great effort.